Rowena and Wayne had a fab wedding at Mitton Hall last year and I was privileged to be their photographer. The sun shone, the sheep were out and Dave, Mitton Halls master fo Ceremonies was in a "High Five" mood which I thought was great to quash any nerves before the ceremony. I did post some photos of the day a while back which can be seen by clicking here but I thought I'd share some shots of their lovely Folio Album on here for you too! They opted for a 12" x 12" Vintage Leather album in "Toffee" and each spread was designed by myself with Rowenas input. Its really important to proof an album with the client so it can be laid out just right and its dead easy with my online Album proofing tools too. I'm a big believer in the idea that a wedding album should be timeless, I never incorporate horrid graphical bits or strange backgrounds as they look out of date way too soon. Thats why my album design is all about the photos and ensuring thats its incredibly readable so when you show it off to mum its a great experience. I love Folio wedding albums. 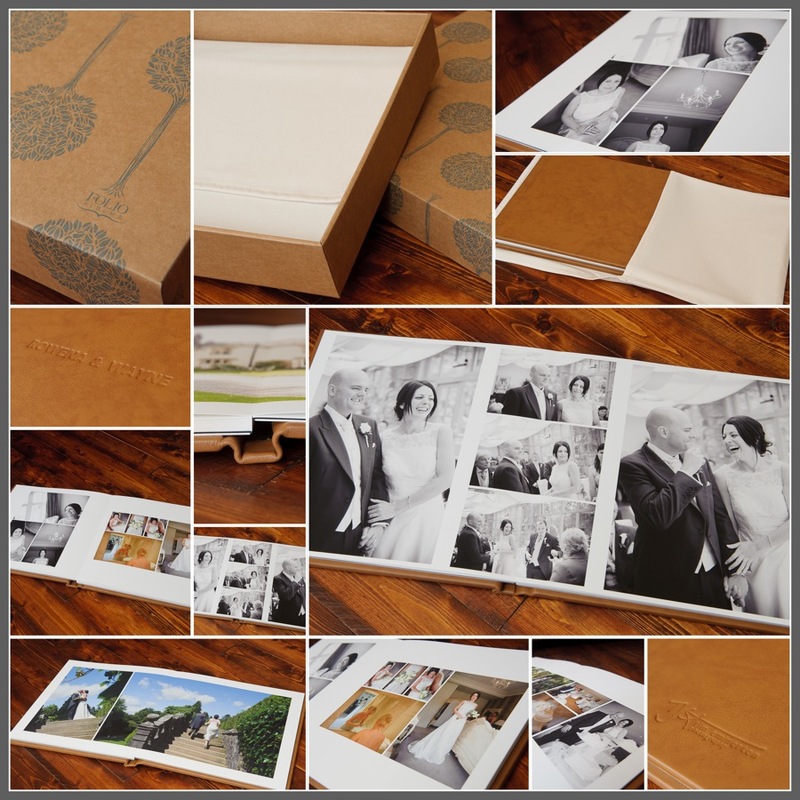 There so simple its amazing, beautiful weighty leather covers, slick name debossing, a timeless classy feel (which is right up my street) and they have stunning fine art prints which can go right over the middle of the page too. Anyway, I hope you like it and feel free to give me a shout if you'd like to see any more albums in person.